Trainer Lance O’Sullivan is confident Sir Charles Road can get his Gr.1 Melbourne Cup (3200m) campaign back on track in Wednesday’s Gr.3 Bendigo Cup (2400m). 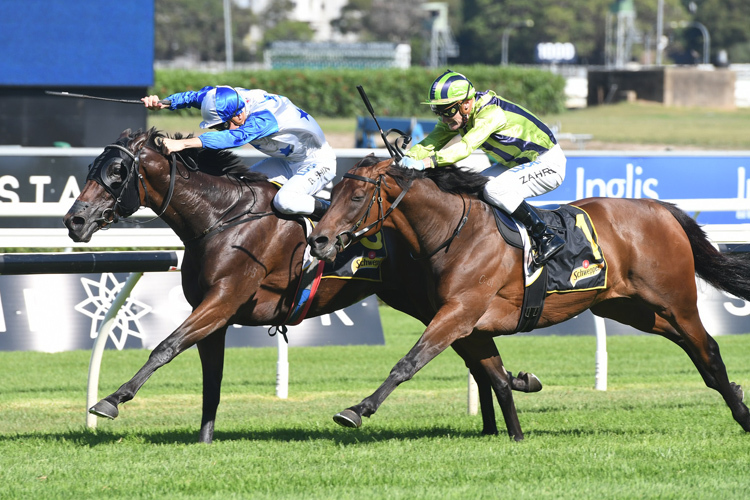 Placed in the Gr.1 Sydney Cup (3200m) earlier this year, Sir Charles Road spiked a temperature after a strong run for fourth in the Gr.3 Naturalism Stakes (2000m) and suffered another set-back when stripped behind last start when finishing last in the Gr.3 Coongy Cup (2000m). “He got galloped on both hind-legs and needed eight staples in one, so you’ve got to give him the benefit of the doubt,” O’Sullivan, who trains in partnership with Andrew Scott, said. O’Sullivan said the injury had not been a major set-back and he expected the David Archer-owned galloper to perform to his peak. “It was more getting a temperature earlier on in the spring that was a hinderance,” he said. “There were other races that we would have run in as opposed to the path that we’ve gone down. A Group Two winner in Autumn, Sir Charles Road is on the cusp of gaining a start in the A$7 million Melbourne Cup next Tuesday, sitting 25th in order of entry for the 24-horse field. Meanwhile, closer to home O’Sullivan has dual nominated former Hong Kong galloper Giovanni Canaletto for assignments at either Tauranga (Opn Hcp, 6 1⁄2 f) or Awapuni (Opn Hcp, 7 f) this weekend. The now seven-year-old was originally prepared by Aidan O’Brien in Ireland, where he placed third in the Gr.1 Irish Derby (2400m) and fourth in the Gr.1 English Derby (2400m) before his sale to Hong Kong interests. Although he failed to win in six starts in Hong Kong, Giovanni Canaletto was stakes placed on three occasions, including a third placing behind star New Zealand-bred galloper Werther in the 2016 Hong Kong Derby (2000m). “He will run wherever the best track is on Saturday,” O’Sullivan said. “He hasn’t raced for two-and-a-half years and we haven’t trialled him. He has had two bowed tendons, so he has got a lot against him.